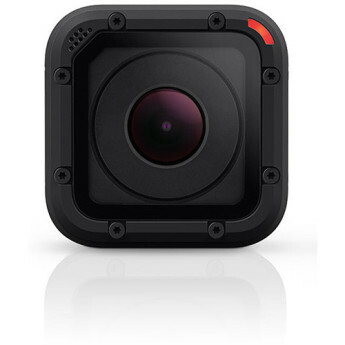 Box Dimensions (LxWxH) 9.8 x 4.5 x 2.7"
There’s a lot to like about the smallest, simplest, and cheapest GoPro. When it first launched, the hurdle was its ridiculously high price tag – costing the same as the Silver, a camera that offers more features and stronger performance. 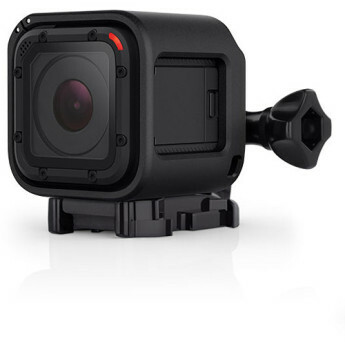 The GoPro Hero4 Session addresses the main design sticking points with previous GoPro cameras: It's smaller, lighter and waterproof without a housing; the new shape allows for more flexible mounting; it's fast to start/stop recording; and its new mic design delivers better wind-noise reduction. 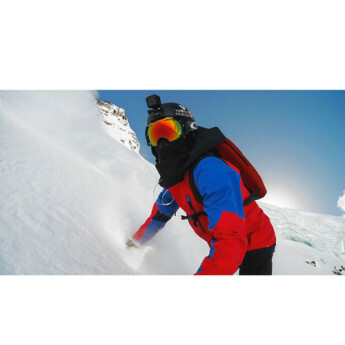 While we are really excited to see GoPro finally break the mold and try a different body shape and size, we feel like the Session is just too niche for any practical user. The difficult operation is simply not worth the marginally smaller size. Terrific evaluation, Mike. Your weighing of the Session's pros v. cons should lead any savvy shooter to the same bottom-line . I appreciate your even-handed assessment of what does work about the camera, though it seems clear that GoPro's engineers failed to heed Dr.
Repeat after me: Smallest. 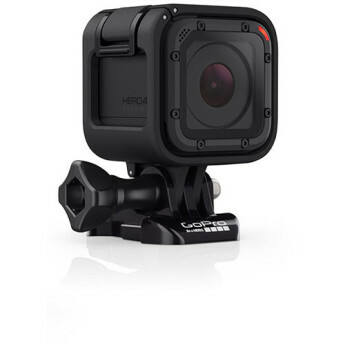 GoPro. Ever. 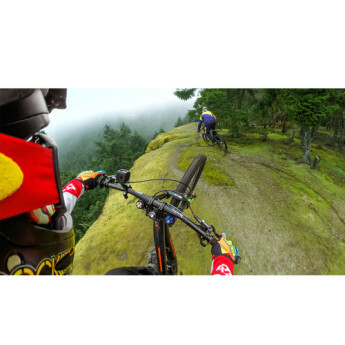 The new Hero 4 Session is 50% smaller and 40% lighter than GoPro's flagship Hero 4 Black. 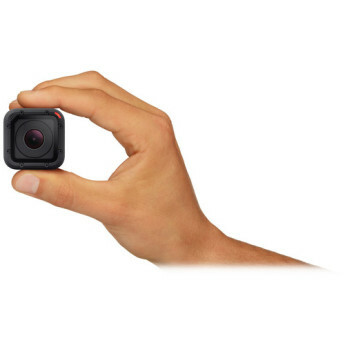 The $399 cube-shaped camera reminds me a lot of the Polaroid Cube , another tiny cubed action camera. "The video may not be absolutely mind-blowing, but it’s as good as it needs to be – and the real selling point of the Session is its size and weight." I use it for skiing, snow, and with the remote lasts 30 to 40 minutes max. I run it without the remote and it is fine but because it is on my head and I have to reach up and turn it on sometimes it simply takes photos and no video. NOT THE BEST RESULT. An excellent product at the price point. Simple to use, self contained, reasonable capabilities; when paired with the GoPro App and GoPro Studio makes an excellent introduction to action videography. Compact, light weight, all in one, single button operation, near limitless mounting options., A small, easy to use camera that does the vast majority of things the majority of us will need. Limited low light capability, maximum 60fps, internal battery only. 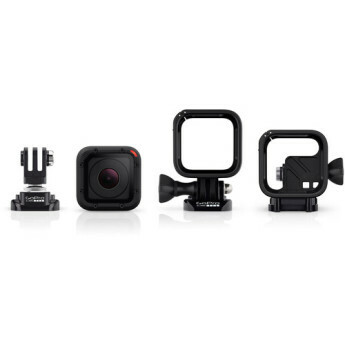 BOTTOM LINE: If you don't need the absolute smallest camera possible, get one of the larger GoPros. They are all great, but the lack of any screen will make it slower to use than the other models. 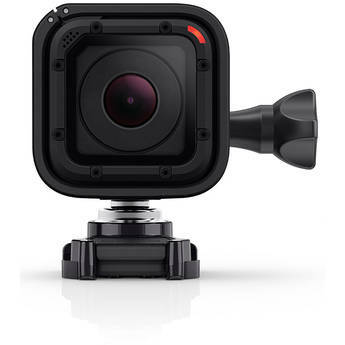 If you have used a GoPro before you should have a pretty good idea if a super small GoPro is for you. Bought for travelling. Easy to connect to your phone and control. Requires microSD card, which isn't included. Brought this to replace my veho muvi hd10 which I've had for a few years . Was unsure how I was going to adjust as my old one had an LCD screen built in but one connected to my phone I've not looked back . Great footage and sound and waterproof without using a separate case.